About the Book: Erik Eleodum is a simple man. He doesn’t want to be a hero. He doesn’t need fame or fortune. He is content farming his family’s homestead in northern Háthgolthane and raising a simple family, like his father, for the rest of his life. In fact, adventure is the last thing on his mind. Befel, Erik’s brother, and Bryon, his cousin, can’t think of anything worse than farming for the rest of their lives. They want to be heroes. They want fame and fortune. They want to leave their families and go east, to the country of Golgolithul, where they are sure to find easy wealth and great adventure. But when these three young men leave their farmstead, they quickly discover the world is not so simple, not so easy. Most fortune is laden with treachery, fame must be earned with blood, and adventures are rarely grand. Ideas of grandeur are crushed and the road east is hard. To get there, these men must ultimately sell their swords and become friends with thieves, dwarves, soldiers, and mercenaries well past their prime. They battle a band of ruthless slavers, slip past assassins, and experience the deadly consequences of black magic. Often the deeds of those deemed smaller, either in stature or status, go uncounted by chroniclers of history. Yet, it is these deeds that repeatedly change the course of history. For every hero whose feats minstrels sing, there were fifty men following his stead, giving blood and sweat just as he did; and because they were not the first to return from a long voyage away, or perhaps they did not return at all, their glories are never sung. This is a story about those men who would only be known in the local legends, who would have been forgotten by time save for a small bit of chance. Chance, Fate, Destiny, Dumb Luck; all these and more, and then maybe none of these things, are the reasons a young man can go from a farmer’s son, a boy of lowly birth born with dirt on his face, to a great warrior, a kingly knight, a dragon slayer. Three young farmers, tired of plowing endless fields from sunrise to sunset, gave up all they knew to pursue fame, pursue riches. Their crying mothers at their backs and the unknown ahead of them, they worked in pigsties, slept in the alleys of outskirt cities, traveled with strangers and shed blood unwillingly. They trusted men they should not have trusted, and did not trust those they should have. These young men who left their way of life for fame and glory would soon learn, as most young men full of grand ideas and just ideals do, the world is not what they thought it to be. About the Author (directly from the author): I live in Tucson, Arizona with my wife Kellie. We currently have three kids. My wife is a wound care nurse, which means she likes looking at open wounds . . . I know, GROSS! I was a high school English teacher for seven years before I transitioned over to Government, Economics, and History. I am the head wrestling coach at Sahuaro High School in Tucson AZ and have been for twelve years. I am also a coach on the Sahuaro football staff. I fostered a love of the arts at an early age when I started playing the guitar at the age of seven. My mother encouraged me greatly in my musical endeavors, even getting me up at 5am to practice since I was also busy with church and sports. In fact, I spent my first year at the University of Arizona as a classical guitar performance major. I have loved action and adventure as well as science fiction and fantasy for as long as I can remember. I grew up watching the original Star Wars movies and Star Trek series. I read The Hobbit at a very early age, loved stories about mythology, and have always had a fascination with the European Middle Ages. As soon as I could, I played Dungeons and Dragons and started reading any Forgotten Realms or Dragon Lance book I could get my hands on. I also read Ursula K Le Guinn's Wizard of Earthsea series, C.S. Lewis' Chronicles of Narnia, and, of course, J.R.R. Tolkien's Lord of the Rings. I started writing my own fantasy adventures on my grandma's typewriter. Each one she would title, "The Next Great American Novel" and I find myself extremely lucky and blessed that my family encouraged my creativity. 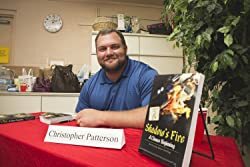 It was in college, studying Literature and Creative Writing at the University of Arizona, that I started taking writing seriously and exploring a career as an author. After my first year in music, I found that that was not the path I wanted, but knew I wanted something involving the arts, and so I transitioned to Creative Writing. I actually started writing what would eventually become the Shadow's Fire Trilogy in college. I am also active at Desert Hope, the church that my family attends. I am very actively involved in the high school ministries and the music ministries. Church and faith are a major part of my family's life and I have tried to implement that influence in my writing. I am also sincere about fitness and health and I have been a competitive power lifter since high school. I workout as much as I can and try to pass that love on to my students and athletes. 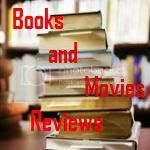 My Review: What a book! The author did a superb job creating another Middle Earth's style world, full of different races and all kind of adventures on every turn of the pages. His description of scenes, battles and internal conflicts on our heroes is so real that we cheer for them since the beginning of the book until the last page and we finish the book begging for more. Plot is simple to follow and flows in a nice pace. Two young guys (Befel and Bryon) are not happy with the perspective of being farmers for the rest of their lives. They decided to pursue adventure and fame in the East and Befel's brother (Erik), although happy being a farmer, decided to join his brother and cousin in this adventure. In order to travel East, they join a gypsy caravan and their adventure begins when they are attacked by slavers. From there on, you will read the book at the edge of your seat. Intense action will follow, with participation of dwarfs, mercenaries, thieves and all sort of creatures. We clearly see some influence of the "Lord of the Rings" (J.R.R.Tolkien) in the writing style of the author, and that only makes the story greater. 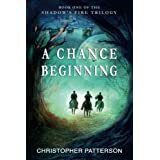 This is a very well written book and I recommend this book to the permanent library of all readers that enjoy adventures and fantasy, You will not be disappointed.